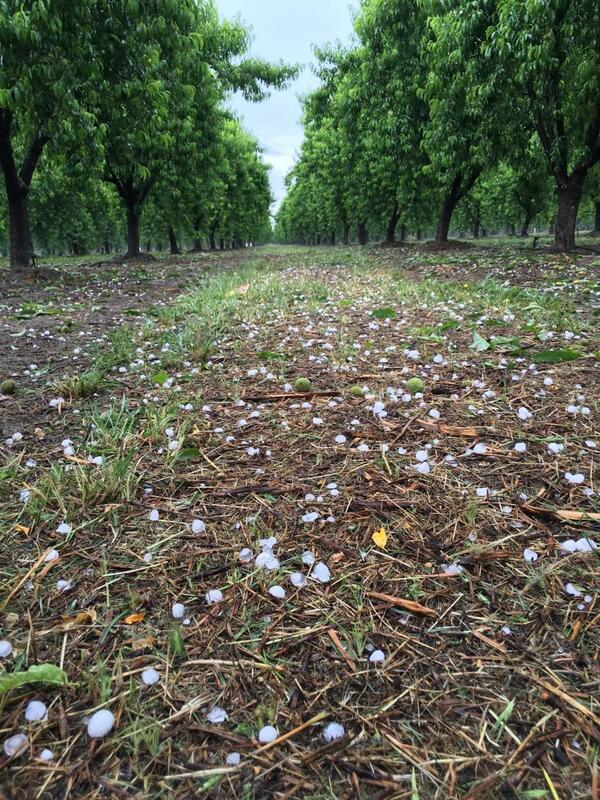 It has been over a week since the largest hail storm South Sutter County may have ever experienced. We have finished our first evaluation of all blocks involved. There are 18 growers with 5% – 50% damage to the fruit that remained on the trees. There are at least 8 blocks that will not be harvested at all. 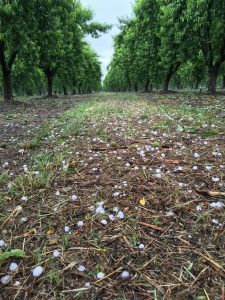 Growers affected are continuing to farm the hail blocks as if the storm never occurred. They continue to thin and hope to get some of the damaged fruit off the trees prior to harvest. Another hail storm is hitting Butte and Sutter County today and more is predicted tomorrow. The storm appears to be a lot lighter, so hopefully little damage will occur. 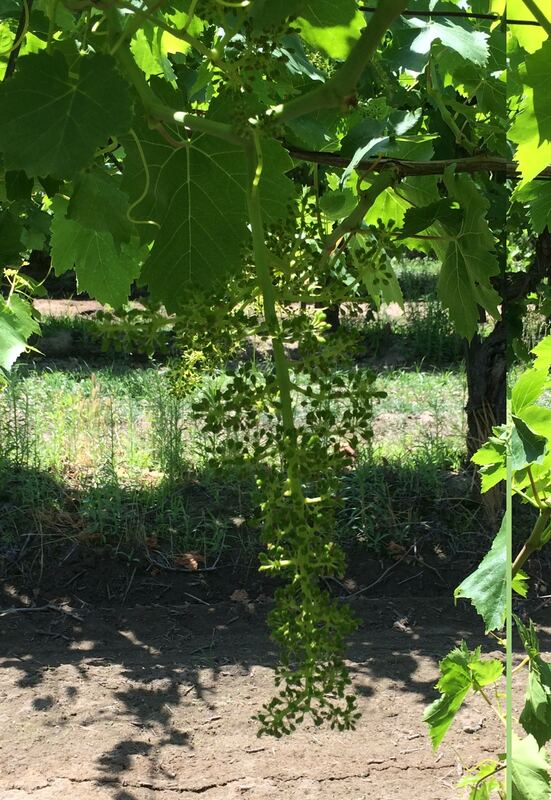 In the areas not affected by the hail storm, fruit set and overall tree health continue to look good and growers are anticipating an average yield. 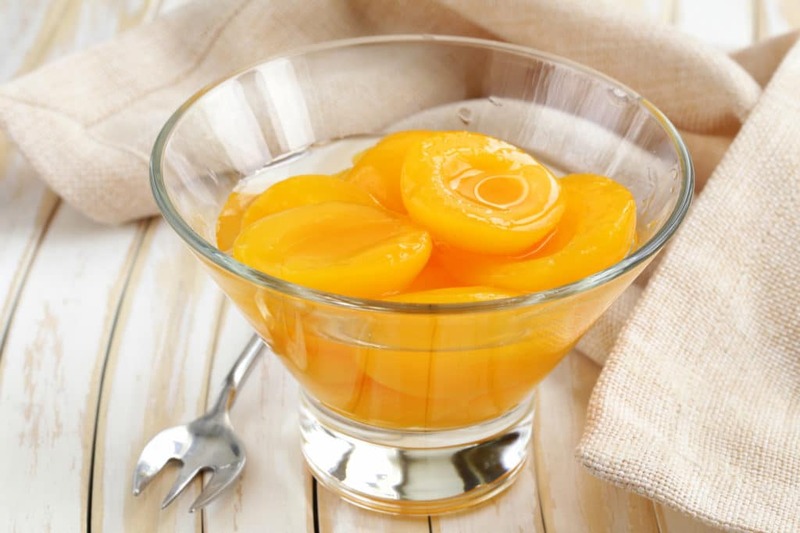 The California cling peach industry was anticipating a 4% decrease in tonnage versus 2015. Due to the hail damage, the industry is expecting to lose an additional 8% of projected tonnage. Avalon/Palermo (PCP New Plantings) – The baby trees will have been in the ground 11 months on Sunday and are growing strong. PCP currently has 110 peach growers located mainly in Modesto, Madera, Yuba County and Sutter County. Fruits continue to grow in size, sizes range from just under 1 inch in diameter to just over 1 ¼ inches. 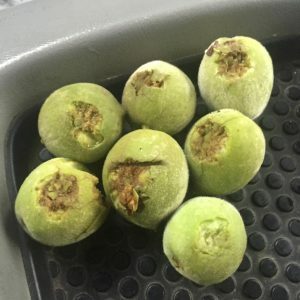 Fruit is currently in its dropping stage; after the drop is complete, growers will have a better estimate on their crop size. We have 26 pear growers located in Walnut Grove, Ukiah, Lake County, San Joaquin County and also in Yakima, Washington. 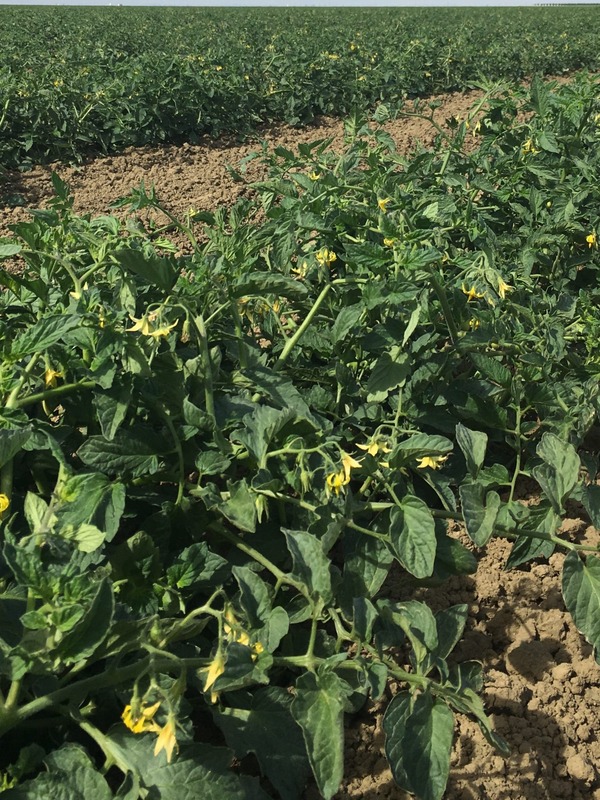 Organic Tomatoes – We are anticipating a July 1st harvest. However, this will depend on Mother Nature; temperatures have ranged from high 90’s to lower 60’s recently. The crop is maturing very nicely. We are starting to see some size on the young tomatoes. Overall, the plants continue to look healthy. 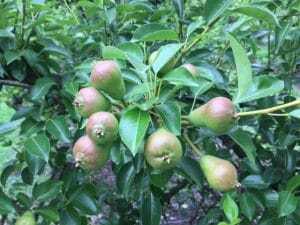 Pear Shapes – Plants are growing nicely and continue to look healthy. Conventional Tomatoes – Transplanting is complete and plants continue to look good. Early season plants are starting to bloom and mature nicely. As a whole, all looks very good. PCP has 17 tomato grower members located in the Woodland area. The pear shape and organic tomatoes are grown in Fresno County. 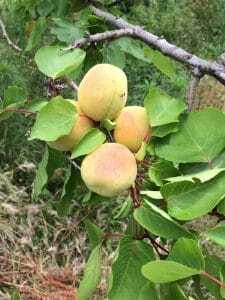 Apricot harvest is anticipated to start around June 1st. Fruit is beginning to turn a pale green. With a few exceptions, fruit that is beginning to turn color has already achieved minimum size requirements and there are still a few weeks of sizing left. Anticipated start date appears to be sometime during the first week of June. 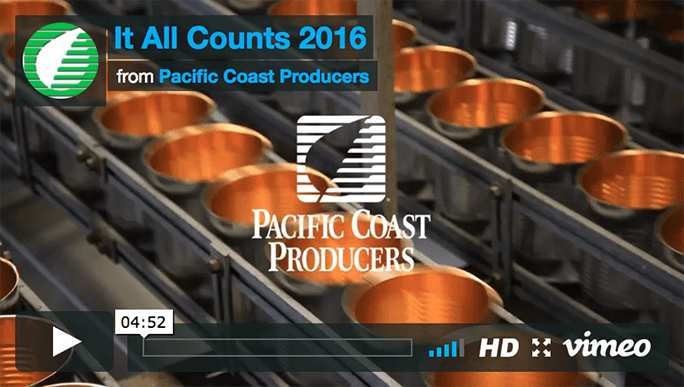 Average crop this year will be welcome after last year’s very short crop; PCP received 29% of expected tonnage. 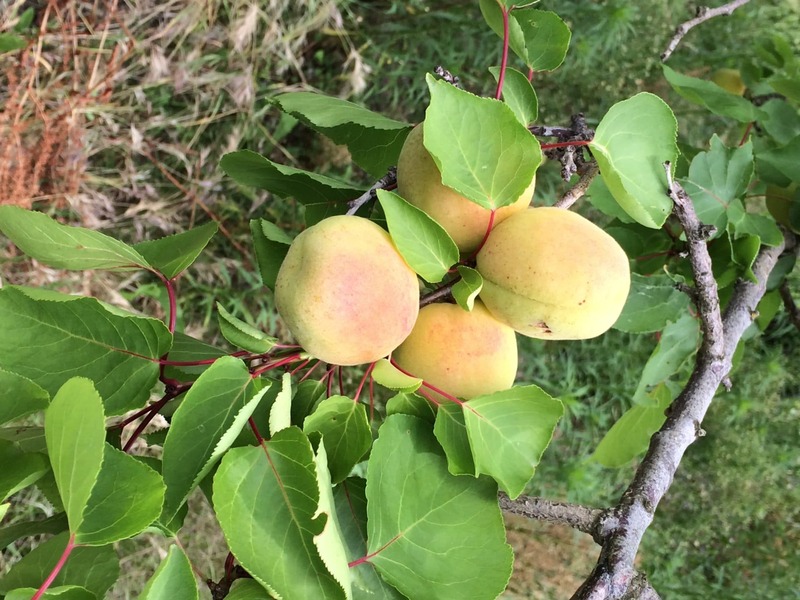 We have 9 apricot growers located in Stanislaus County. Girdling and tipping are underway. Grape bunches are long and loose. Both districts still appear to be slightly ahead of last year. 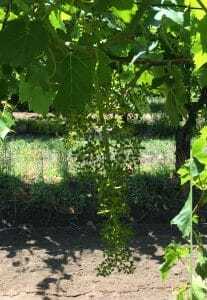 Our 4 grape grower members are located in Madera and Bakersfield. Since March, the fruit supply has been decreasing day by day. This is due to drought – as the weather is really hot this year. The hot weather makes the fruit not grow as it should, and the fruit quality is diminished due to sunburn. In a normal year, the ratio of choice grade versus standard grade is 50/50 in the East area, however, in the last two years, it has dropped down to be 30/70 respectively. In terms of the volume, processors planned to receive at least 5,000MT per day but it has decreased to approximately 4,300 MT per day. Price has increased dramatically from THB10.50-THB11.80 to be THB13.00 per kg. in two months. There is no summer crop and processors do not think that the winter crop will improve. We have to wait and see the situation week by week.